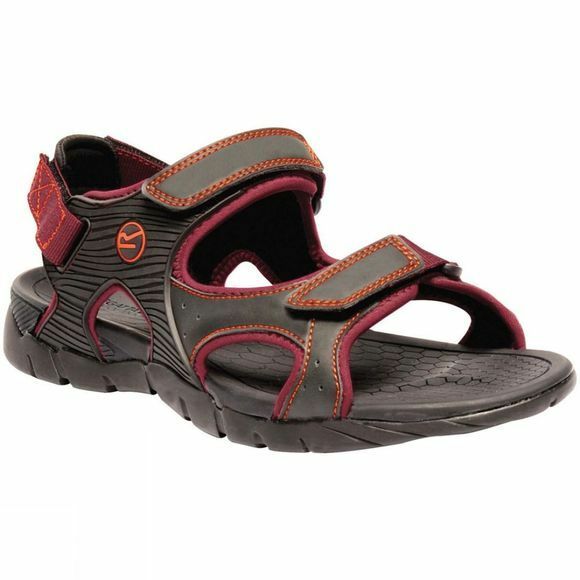 The Mens Rafta Sport Sandal from Regatta allows you to explore the summer in comfort. Neoprene backed PU Leather hugs the foot with three points of adjustment while moulded rubber stabilises and protects. EVA cushioning and a durable rubber outsole make sure you cruise through the day. Weighs 230 grams.